At Smile Place Dental, a range of general dental services are available, and are all performed by our professional, caring staff. At Smileplace dentistry practice we aim to create lasting personal relationships with our patients as well as help them maintain excellent oral health. 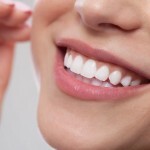 Our dentists have a wide range of experience and training in general and modern dentistry, which is why we provide such a large variety of restorative and cosmetic dental services. Some services, including regular examinations, cleaning and oral hygiene instruction are available at no charge if you have an eligible health insurance extras cover, the cost can be deducted from your available dental limit. We understand that your oral health is directly related to your overall physical health, we strive for safety when our treatments are performed. Keeping you healthy and safe is always the goal of our dental team. We invite you to browse though our other pages to learn more about our Smile Place Dental. When you are ready, please give our clinic a call to schedule your next appointment.